When will be Speed is the New Black next episode air date? Is Speed is the New Black renewed or cancelled? Where to countdown Speed is the New Black air dates? Is Speed is the New Black worth watching? Speed is the New Black brings viewers inside Noah's shop where cars are tailor made for a client's lifestyle, environment, driving style and driving mission. A doctor in need of a fun ride when he is not operating asks Noah to transform his Chevy SSR into a mean yet classy freak on wheels. The team reimagines this truck/convertible mash-up and transforms the SSR into a powerful and aggressive ride. A lover of small cars and fast speeds has Noah and the team rebuild her 1970 Mini so she can race her boyfriend and enjoy fast country drives. A massive horsepower upgrade makes this Mini one huge beast. More than 40 years since totaling a 1971 Chevelle a new client is ready to rebuild his first dream car; starting from a bare frame, the crew begins the process of giving this Chevelle a new life, one that will turn heads at shows, and on the road. 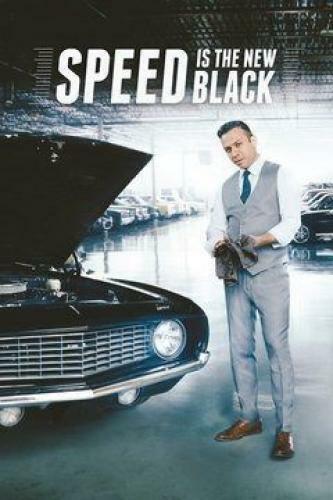 Speed is the New Black next episode air date provides TVMaze for you. EpisoDate.com is your TV show guide to Countdown Speed is the New Black Episode Air Dates and to stay in touch with Speed is the New Black next episode Air Date and your others favorite TV Shows. Add the shows you like to a "Watchlist" and let the site take it from there.